Reading the Groove offers brief conversations with writers about the intersection of music, rhythm, language, inspiration, and occasional bad taste. Maria McKee was the singer and founding member of the seminal roots rock band Lone Justice. As a singer-songwriter she has released five studio albums and scored a #1 hit in the UK with “Show Me Heaven,” which first appeared on the soundtrack to the film Days of Thunder. She has recorded songs with U2, Steve Earle, Robbie Robertson, and Dwight Yoakam, among others. Her songs have long been regarded for their narrative depth and emotional gravity. Robert Stapleton: What formative books did you read as a kid? 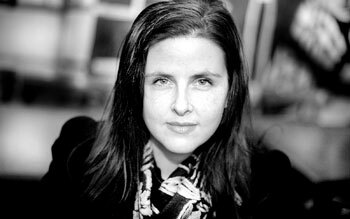 Maria McKee: The Oz books, Laura Ingalls Wilder, C.S. Lewis’ Chronicles of Narnia, Madeline L’Engle, Ingri and Edgar Parin d’aulaire’s Book of Greek myths and Norse Gods & Giants, the Norwegian folk tale East of the Sun and West of the Moon. Stapleton: What are you reading now? McKee: Sandor Marai’s novel Embers and The Hilliker Curse by James Ellroy. Stapleton: What book or writer changed your life? McKee: The Magician’s Nephew by C.S. Lewis. This book opened up my subconscious quite a bit as a child. I dreamed this book. Stapleton: What stories or authors have impacted your songwriting? McKee: Tennessee Williams, Flannery O’Connor, Yeats, Harry Crews, John Steinbeck, Katherine Dunn, Albert Camus’ The Myth of Sisyphus. Stapleton: If you could create the soundtrack for a book, what would you choose and why? McKee: Jude the Obscure by Thomas Hardy. Life is absurd yet we still try. Robert Stapleton is executive editor of Booth and teaches at Butler University. His writing has appeared in Word Riot, OCWeekly, Bathhouse, Journal of the Gulf War, Orange Room Review and elsewhere. He lives in Indianapolis. More of Robert Stapleton’s Reading the Groove at Used Furniture.